This product is 100% Pure Pharmaceutical Grade L-Carnitine Tartrate. For serious athletes simply mix with juice or cold water approx 1 1/2 teaspoon (5 grams), 20 minutes before exercise. Very satisfied with this product. No gritty, sandy taste in the mouth afterwards and has been helpful in my fat-loss goals. Glad I came across this product, it's now my No.1 brand for L-Car and Protein. I feel the difference. Awesome stuff. Very happy with the product, works as described and fast delivery. Will buy again. 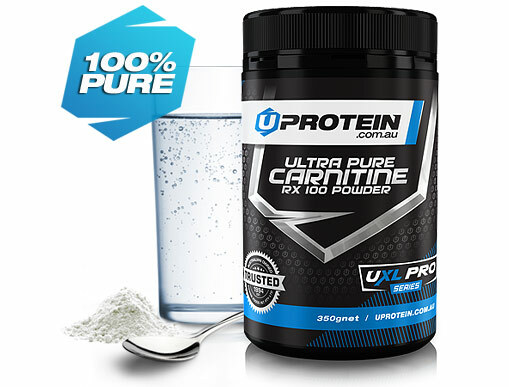 I’m currently doing the F45 8 week challenge and along with the F45 meal plans i’m taking the Uprotein L-cartinine after lunch every day. I’m an early morning trainer, and i’ve noticed energy levels have increased and body fat is dropping extremely fast. I don’t like putting anything into my body that has any hidden nasties so it’s great to have something that’s pure, natural and especially free of sugar. 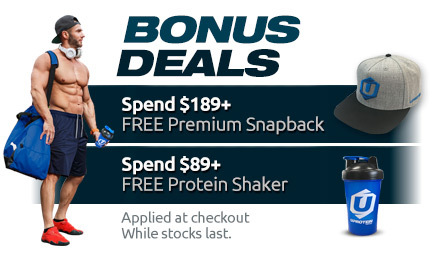 Definitely glad I came across Uprotein and your products. They are great value for money and best of all I’m seeing excellent results. I’m currently 37 and in the best shape of my life. perfect Carnitine I've ever used. It is what it is. No need to worry about what other products are in which might be counteracting your efforts or health. It was delivered quickly and without problems. All good! I wake up in the morning, have my Whey Protein and L-Carnitine Powder, it is filling and not sickly. I feel the difference, I am energised and feel great. The best way to begin my studies at university for 2018? Thanks UProtein. I was a little sceptical before buying this, thinking it's a waste of money, it won't help etc but after just 1 week I feel more energised, I feel focussed and adding it to my training and calorie deficit I've lost 1kg in 7 days! I feel good when I train. I mix a teaspoon of this with my orange juice every morning. You can't taste it, you can't smell it - it's like invisible help for your body. I will definitely be purchasing more of this to continue it within my weightloss and fitness journey! This product is incredible! I’ve tried many different supplements for burning fat and producing energy over the years, but this one tops the cake! Thank you uprotein for such an awesome product and for so cheap. Easy to use.. Mixes great! Been using this product for a couple of weeks now, mixes well and gives me lots of energy! If you are looking to lean up then L-carnatine is a great help. A lot of thermogenic proteins and fat burners put sprinkles of this and market it as a fat burner. Getting it in powder form means you know you are getting the proper doseages so take it as descripted. 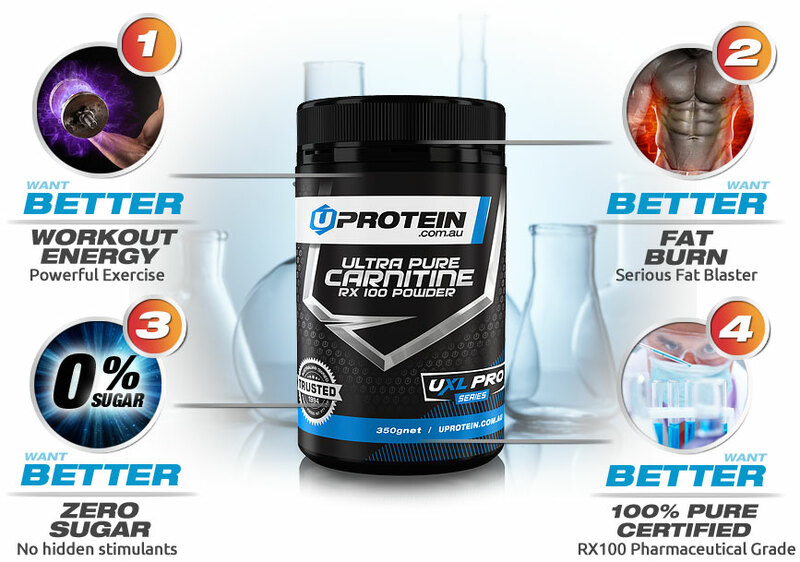 Uproteins L-carnatine mixes great with pre workouts and intra workouts, so you feel free to add onto any products that you've bought which skimps on the dosages . It is pharmaceutical grade also, so you know you are getting quality, which is the case with all products on this site. Definetly recommend to add on your order for those looking to shred up or drop their fat percentage. This product really works. It gives me the energy to push myself more when exercising and helps increase weight loss. The U-Protein is excellent by itself once in the morning to kickstart (its flavourless) the fat burning, and a serving in your pre-workout (which I also like to put a serving of U-Protein 4:1:1 BCAA) to finish it off. Been following a keto diet w/ carb back loading, wanting to lose fat and pack on lean muscle, I have lost 40kgs in weight over a 3 month period, my strength has increased overall and I must thank the cheaper supplements I purchase from U-Protein. Great product for anyone wanting to lean out shred or just lose fat. Ive still got alot to go but I will get there, you guys can too but I swear by L-Carnitine! Been taking for a while now ,really good products ,no side effects. It really does work!! This ultra powerful amino acid may help improve workout performance through increased energy production, and fat burn optimisation is a key to help transport fats into cells so that they can be turned into fuel. Some studies suggest this is the best product to do this. Everything I expected, pure great quality, no filler, great value. Only issue is I think there is a typo on the serving size as I believe you are suppose to take 1000mg not 100mg that it says on the container. Definitely works! Dissolves well. Felt it work almost immediately. Will definitely buy again. GREAT QUALITY AND PRODUCT. WILL PURCHASE THIS AGAIN AND EXCELLENT SERVICE FROM THIS COMPANY. Noticed the results from using this product instantly. Very happy. Great product. Easily dissolved with water or juice. GREAT QUALITY AND PRODUCT. WILL PURCHASE THIS AGAIN AND EXCELLENT SERVICE FROM THIS COMPANY. First impressions were that it is less powdery/fluffy than expected, but no concerns as mixes and dissolves really well with protein. Super happy. best value for money! have been taking it for about a week and already noticing differences.. not to mention super fast delivery! Noticed the results from using this product instantley. Very happy. will be purchasing again. Most additives leave a chalky taste and texture. This one I put in my protein shakes, NutriBullet blends and even water. Used to buy from another supplier then came across this brand. Glad I switched coz I saved quite a few bucks!! ✔ No added sugar, fillers or flavours. L Carnitine Tartrate is the strong backbone of most over hyped fat burn products. 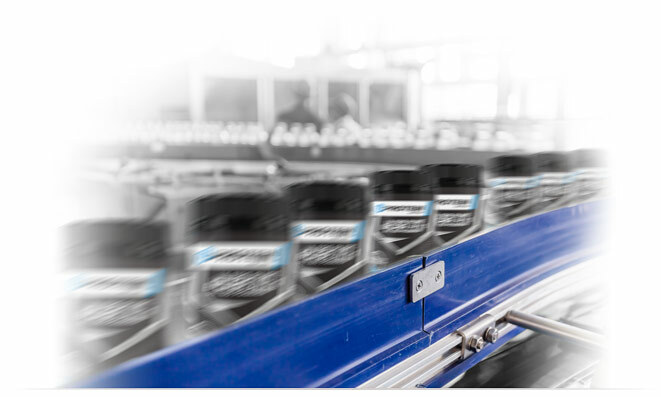 Go straight to the source and get pure unadulterated L-Carnitine. This ultra powerful amino acid composite combining Lysine and Methione may help improve workout performance through increased energy production, reduced muscle lactate and fat burn optimisation. Carnitine is a key nutrient to help transport fats into cells so that they can be converted into fuel. Some studies suggest carnitine targets hard to target visceral fat. Uncover those abs with this non-stimulant, caffeine free fatty acid transporter. Contains no added sugar, fillers or other nasties. Helps transport long chain fatty acids into cells so they can be converted to energy. Often regarding as the king of fat burners, L-Carnitine is an important supplement for serious trainers. A superior grade amino acid composite combining Lysine and Methioneine levels to support performance and fat metabolism. At around 59c per 5g, this ultra pure quality assured amino acid is also Australia's best value.